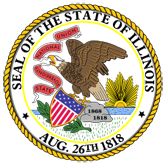 This publication contains the agreements between the State of Illinois through the Capital Development Board and the City of Taylorville, Northwestern University, DePaul University, Loyola University Chicago, Harry S. Truman College and Access Living. 2. City of Taylorville (taylorville.pdf). 3. Harry S Truman College (truman.pdf).